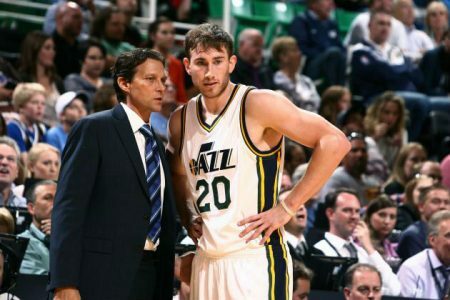 Play On: Utah Jazz -1. Utah put an end to a nine game losing streak by upsetting the defending champion San Antonio Spurs at home on Tuesday, and I like their chances of riding that momentum and picking up another win at home Friday as they host Miami. Fatigue should continue to be an issue for Miami just 48 hours later, and this could be a throwaway game before returning home for a stretch that sees them play 8-of-9 in Miami. Gordon Hayward, Derrick Favors, Enes Kanter, Trey Burke and Alec Burks combined for 75 points in the win over the Spurs, and that kind of production from their starters should lead to more wins moving forward for this young team. The Heat have covered the spread just once in their last five trips to Utah, and this doesn’t look like a good spot for the visitors.